High Protein Breakfast Myths, Genetic Testing For Exercise, Demystifying Brain Waves & More! A few weeks ago, I got an email from a podcast listener who said I had to get a guy named “Matt Riemann” on the show. I had never heard of Matt. So as I often do, I had a brief Skype video conversation to “vet” Matt and see if he would be an informative guest for the show, or, as so often happens when some random person solicits a guest to me, a charlatan. Turns out, Matt is the former. Within the first 5 minutes of our Skype conversation, he could tell by my manner of speech and my facial expressions what my cognitive dominance and dominant frequency brain waves were (don't worry, we delve into what that means in today's show). He also told me a high protein breakfast is really not the right thing for many people, and what he really thinks about genetic testing to determine the best exercise or nutrition. We also address these topics on today's show. Matt describes himself as “a social entrepreneur” in the fields of personalized health and future medicine. He is specifically focused on changing the entire health trajectory of the human race. Seems like small beans, hey? Matt has a masters degree in applied human sciences, is a lecturer and clinical educator at several universities in Australia, and has been recognized for his passion and excellence in educating doctors, health professionals and fitness experts globally over the past 10 years. In 2013, Matt founded the Ultimate Human Foundation, a non­profit with a mission to transform world health and assist in eliminating chronic pain and disease from the planet. Matt has founded 7 businesses in health and medicine over the past 10 years, most recently launching ph360.me, a smart health app based on personalized epigenetics and gene expression. 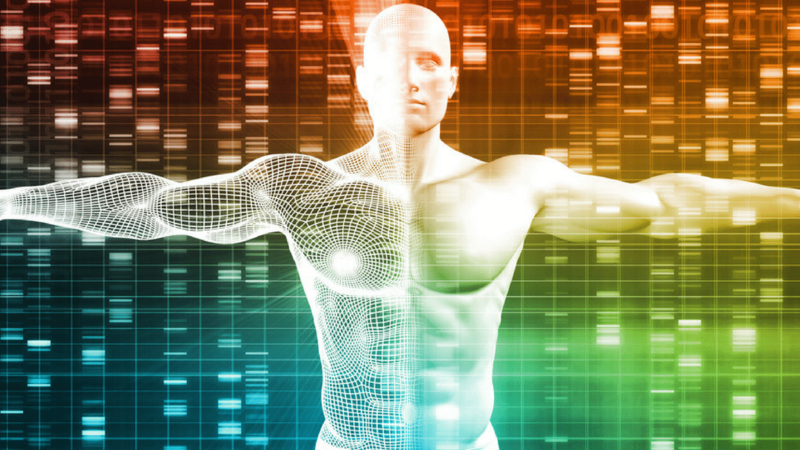 Do you have questions, comments or feedback about personalized health and epigenetics? Leave your thoughts below and either myself or Matt will reply! You can also click here to check out the ph360.me site that Matt and I discuss. Any Update Ben? Is this a legit tool that can really aid in health. The info in the podcast is impressive and the idea that each person is different and their health needs are not the same makes sense. But doing an online search doesn't seem to have anyone except acolytes which repeat almost verbatim the same review over and over. I've been working with the ph360 for several days now, and am thoroughly discouraged. I thought that investing in this program would mean I'd finally know what to eat to feel nourished and alive. And I have been giving the program my very best try. However, while my program includes lots of fruit and vegetables, it includes very little meat protein. And what it does include – once a week – are things like whitefish and shellfish, which leave me feeling like I’ve eaten nothing. Eating this diet has left me low-energy, head-achy, stressed, and depressed. Last night I felt so awful, I had to have an emergency “dose” of chicken, at which point my body felt incredibly relieved. However, when I inquire of the help email desk, I'm told that according to my biome, animal protein must be the source of my problems, and to learn to do without it; she recommended substituting protein powder, but I’m allowed hemp or whey protein powder only once a month. Etc. I was so impressed with the testimonials, and my hopes were so high. I’m incredibly disappointed. Hi Kathy! A couple of things that jump out to me – it's going to take more than several days for you to really feel the effects of a diet change, and with almost any diet change, in the interim there's doing to be some kind of 'withdrawal'. You also need to make sure you are getting the right AMOUNT of vitamins and minerals in your new diet, ie. You might need to eat a much higher quantity of protein if it's not meat-based. Just because your body feels 'relieved' when you eat chicken, it doesn't mean meat protein is good for you. And just because you still feel hungry after whitefish, doesn't mean it ISN'T good for you. Does that make sense? My overall advice is to stick with it longer and to just try and trust the diet change. See how you feel in a month or so, if you are still getting headaches, feeling stressed, low-energy, depressed in 1-2 weeks, get back in touch and we will revisit it. Come live with me for a day. ;) My morning smoothie alone = one whole head of kale, 1 avocado, cilantro, parsley and celery. Hi Ben – I signed up and have asked for a refund. The podcast was amazing and I was hoping to learn so much about my body type based on extensive scientific research – but seriously, seems if I want more its going to cost – thats not the information I received from the podcast. I believed from Matt that this would be real personalized information. Im none the wiser as to my body type, have a list of food dos and donts. Asked me a list of questions, I answered e.g. I follow Paleo diet, told me not to eat grains. My ferritin levels are really low – told me to not eat red meat as it has a high iron content and that I should eat SOY, SOY who still eats SOY? No butter but sunflower oil. etc. Also suggests low level exercise – why would I change without an explanation – Im about to do a staged ultra marathon. Hi Desiree – I’m glad to hear you enjoyed the information in the podcast – literally the tip of the iceberg for whats included in ph360! What we have tried to create with ph360 is simple, colourful, digestible information that one can follow to reach a state of health. As you can see we have consciously excluded the detailed explanations as this was found by the larger population to be confusing and distracting from a simple way to health. The great news is that ph360 is continuously evolving, and one thing we truly understand is that everyone is unique and wants to see, read, learn and experience different things. So where your feedback may be that ph360 is too lean on information, we have many others with feedback it is still too complicated! So we are building many different interfaces, and in the near future, you will actually see something very different in your profile compared to what your friend may see. Maybe you like the science and need to understand EVERYTHING, and maybe your friend just wants to be engaged and entertained by simple day-to-day videos on how to be healthy, one step at a time. We are very excited to be able to create this pioneering next-gen personalised experience, and in the mean time hope you can appreciate why the amount of data we include on our platform is limited for you to see (and is too lean for some, and too much for others). But that being said, we have created resources for those in your same shoes needing to know more. If you want to understand the sciences behind your food calculations and why things would appear contrary to what you think, please visit www.ph360.me/resources where you will find this discussed in detail. If you make the time to truly understand the power behind ph360 by watching these videos, I’m sure your perception will quickly change about your truly personalised insights and how they can guide you to optimal health. Thanks again for joining ph360 Desiree and we wish you all the best on your personal health journey! Please let us know how your experiment with ph360 goes, I'll be on the edge of my seat waiting!!! Well, I signed up (for a month). The program is heavily biased towards BMI – as a former elite athlete my BMI had me at almost obese when I just 15% body fat. The nutritional recommendations for me are very low protein and very low fat. As a post menopausal woman I have done a lot of experimenting with diet and exercise over the past few years. I know that I can't tolerate the grains and starchy veges this program suggests for me. I have been on a high fat, medium protein and just deep green veges and seaweed diet for the past 6 months and its the one that agrees with me the most! (no more hot flushes, lots of energy, really clear mind, no gut bloating – with a low protein/low fat diet, all of these menopause symptoms were through the roof). The program suggests low level exercise for me – it assesses me as morbidly obese and very unfit! I am 10kg above my race weight, so, yes, over weight (that I would like to lose), however I am VERY fit! I train twice a day (30 minutes to a couple of hours, depending on what I am doing), nothing is sore, nothing impedes me. Perhaps the measurements work for an average person – I'm not built average! I have a 5.5 l lung capacity, still have a huge VO2Max and biceps that scare most men! I won't be renewing for a second month! Yes, Ben, I let them know and their response was that I must have taken the measurements wrong! Hi again Lynda! I was concerned by your comment and so checked with our customer care team about your specific enquiry. You are correct the response was to check your measurements. This was suggested because you reported that 70% of your profile sounded incorrect to you. As ph360 is extremely accurate, the fact you found such a big discrepancy means there must have been some incorrect data entered in some part of your assessment. It happens sometimes and in 99.9% of cases where people believe their profile is incorrect, a simple review of their measurements or assessment will fix this. I hope this helps to clarify. In their reply email the care team also asked for you to follow up with them if you had any further questions from their response, so once you have reviewed your profile then please reach out if you need any further clarification. Our support team is absolutely amazing! Thanks again for being part of our ph360 community! Thanks for the reply. It might be a good tool for someone who eats a shocking diet, but, sorry, I don't find it that interesting or that good. I know you believe in it, and so you should! I'm thinking that people who have been on an optimal nutritional and exercise path for a while might find not find it such a helpful tool, either. Thanks anyway. Matt, you say “So please understand ph360 can give you powerful insights into your health and how to navigate your health”. My question is, how can it give me powerful insights? I need to know the ‘why’ behind the recommendations before I can glean powerful insights into my health. And actually, ph360 knows it. It got that part of my talents and personality traits correct. I can’t even see what ph360 thinks are my health risks, so how can I gain “powerful insights into my health”? The food suggestions imply (over and over) that I have some health risks. For instance, high blood pressure. I have low-normal blood pressure. When I’m extremely stressed I have ‘normal’ blood pressure. Sure, I have a history in my family of heart conditions. But I am so unlike everyone in my family with regards to diet, exercise, thoughts, and lifestyle and my understanding and continuing education in such things that MY epigenetics are not going to be the same as theirs. And I’m old enough that I can remember what my parents and their health were like at my age (even 10 years ago). There was no way, either in body or belief that they would have been able to keep up with me at the same age. Like you say, we are all unique. Even if I have the same genes as my father and maternal grandmother, I am not necessarily going to be turning on those genes for heart conditions. I don’t blindly believe what doctors tell me. I ask them questions about everything, I want to understand how my body works. So I’m not going to believe what an algorithm tells me either. I want to know the hows and whys behind its diagnosis of me. If I have a health risk I want to know about it. I want to know what leads ph360 to believe that I have a risk of heart conditions or any of the other conditions that the food recommendations are implying I have. I can’t even find what ph360 thinks my phenotype is. I want to know what the algorithm is piecing together that makes it put many, many wheat/gluten products in the ‘avoid’ list. Some are pretty obvious are not good for anyone, like white flour. But there are other things that I think would not necessarily be on everyone’s avoid list. Yes, I have major issues with wheat/gluten. But I don’t think ph360 is picking up on that because there are foods in my ‘Good’ list that are not gluten-free, like wheat germ. I have vertical nail ridges, which the description on the photo said could be a sign of dehydration. Ok, so what do I need to do and know so that I can best hydrate MY body. That would be a powerful insight. As long as I can remember I have had these nail ridges. Drinking lots of water obviously does not make a difference. So what does my body need? A pinch of salt in the water, as Kelly Starrett recommends? That would be very helpful to know. But I don’t see anything about it and I’ve gone through all the sections in my results. Maybe I missed it? Hydration is an important piece in an optimal, well functioning body. So if I missed it, maybe it should be more obviously right out there as a recommendation. So…Ben…what do you think? Do you buy it? It was definitely a fascinating interview, but would you be wiling to pay the money and engage and follow the recommendations? For example, will you actually eat a protein-lite breakfast from here on in? Well, as he said, the "lite protein" for breakfast is only for certain people. Not necessarily me. But I typically don't exceed 20g with breakfast anyways because of insulinogenic nature of protein. But I haven't experimented enough with ph360 to make a full decision yet. Thanks for the heads up Nancy! Hi Ben, it would be great to get your feedback on what you think about ph360 vs DNAFit and which option you feel gives you more value for money. I haven't gone through the entire ph360 process yet and am still testing it out, but it LOOKS like it may offer even more data than DNAFit, although you'd still need to do a DNAFit test to actually get your genetic results to upload to ph360 I think. Guys I really want to warn you off about the ph360 site. I decided to shell out the $300 for the lifetime membership and am very disappointed that I did so. I think the suggestions are pretty basic ones and I just don't see it being useful beyond the initial advice even if it was useful for someone that didn't know much about personal health in the first place. Great concept but just falls WAY short on implementation. Maybe it will get there. Oh and I was complaining about the cost relative to the value to their support staff and explained that perhaps I didn't understand how to use it right. The person pointed me to a series of 1.5 hour youtube videos on how to use the thing and then thought it would be funny to add that there was some $175 seminar coming up. Joke's on me I guess. I just thought I had to come back and post something to try to prevent others from falling victim. after looking at PH360.com’s FAQ’s it appears that they do everything WITHOUT dna testing. “What do I need in order to use ph360?